Holy crap. It's been excactly two years since I've updated this main page (or any pages, rather). Nevertheless, I have decided to update with a little PM related information. Just to note that I'm not completely out of the loop in regards to well... everything. Tim Trzepacz asked me to include a link on my page in regards to the whole Princess Maker 2 fiasco. While I've included a lovely interview some time ago with him, I'm also throwing this important link here as well. Check it out. It explains what exactly happened with the domestic release of Princess Maker 2. Sometime in the last few years, apparently Gainax decided to make a Princess Maker related animated television series. This series was called: Puchi Puri Yuushi. It has since been picked up domestically by ADV Films under the title "Petite Princess Yucie" I haven't seen it, because I am lazy and poor. However, I do plan on attempting to pick it up in the future now that I've finally gotten all of Super Gals! Kotobuki Ran. 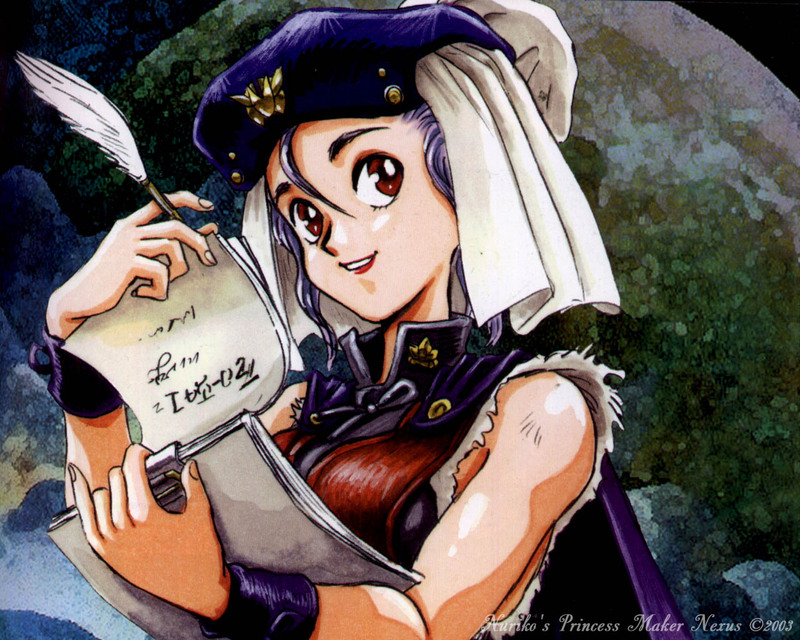 Biggest news is that on August 31st 2005, Princess Maker 4 finally came out. Seriously, we've been waiting for this thing for like four years. It's no longer based off the girl from PMQ, but rather a whole new daughter. I haven't picked it up yet, however it is currently available in Japanese on the Japanese Playstation 2. Looks like Yesasia will be selling a Chinese PC version within the next week put out by King Information, who seems to always do their PC Chinese versions (My PMQ is from them) which will also be sold over at Yesasia.com. The coolest thing thus far is that it looks like the main menu is in English. Not to mention it looks like we have an all too familiar butler yet again, Cube. Did I forget to mention the whole collection of PM games redone to run on current operating systems? It's true. Apparently Gainax along with the usual folks of GeneX have created newer versions of the PM franchise games, calling them "Refine" editions. Princess Maker and Princess Maker 2 got the refine treatment, both getting releases for the PC (able to be ran on Windows XP) and Playstation 2 platforms. The graphics are now prettier and the music is all spiffy for up to date operating systems. For all you school bound fans, a desktop! Missed an update? Here's the News/Updates Archive. 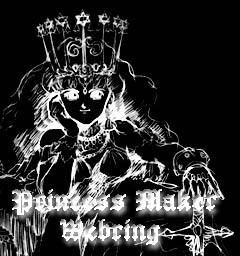 What is Princess Maker anyway? Princess Maker Poll! Princess Maker is a collection of Life Simulation games released in Japan. The point is to raise a daughter to the age of 18 years old. This is an information collection researched and compiled by myself and many people who have helped this site to grow into what it is now. 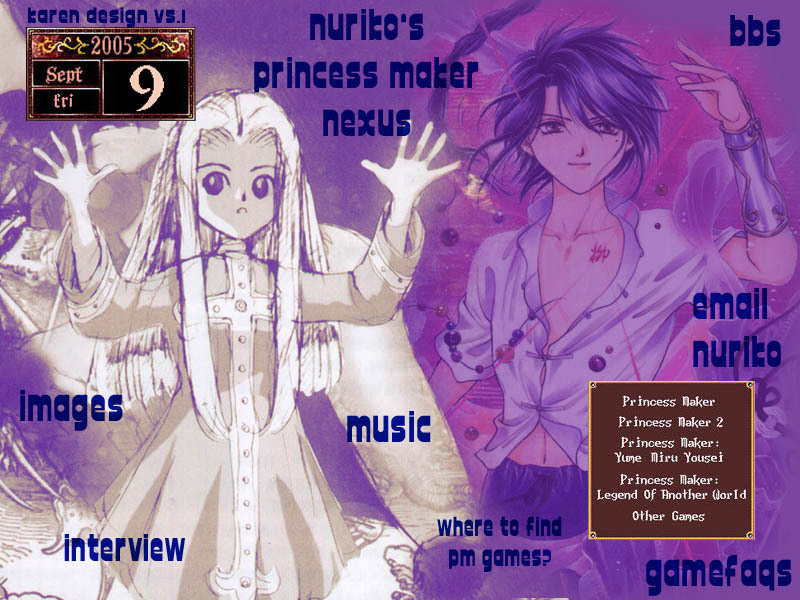 Visit the Princess Maker Nexus BBS! Go ahead and connect to it. If you've already got a GlobalEZboard account, then that's cool and you can use it, or you can create a new one with a name just for that one. It's that simple ^_^; I am, of course, Nuriko on the board. http://www.digits.com Yes, now you too can vote on strange Princess Maker related topics that I come up with. I'm trying to add a little more interaction with this page. So... on with the poll! If any or all of the PM games were to be fully translated into English, would you buy them? Mandatory Disclaimer. These wonderful games are copyright GAINAX, Nine Lives, etc, etc. I have no affiliation with any of the companies other than being a fan who has too much time on my hands. All the info here was gathered on my own accord. 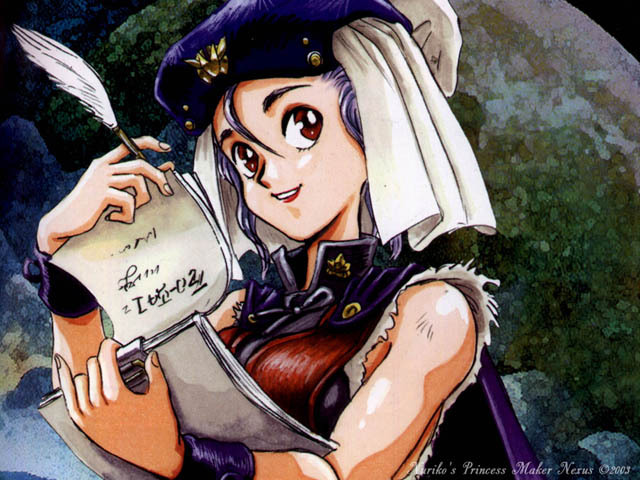 If you would like a copy of Princess Maker 1, 2, or 3: don't ask me. I'm not a warez channel, and I don't have access them. DO NOT email me about it, I will delete the email immediately. If you really want the game, please go try eBay or something. Please don't ask. If I don't have one, then most likely I can't get one for you. That would be illegal. This site owned by Ryuuen Chou.